We offer 24 hour valet parking for hotel and dining guests.The Westgate Room and the Sunday Brunch validate parking for three hours at a charge of $10.00. Special event and Holiday parking rates may apply. 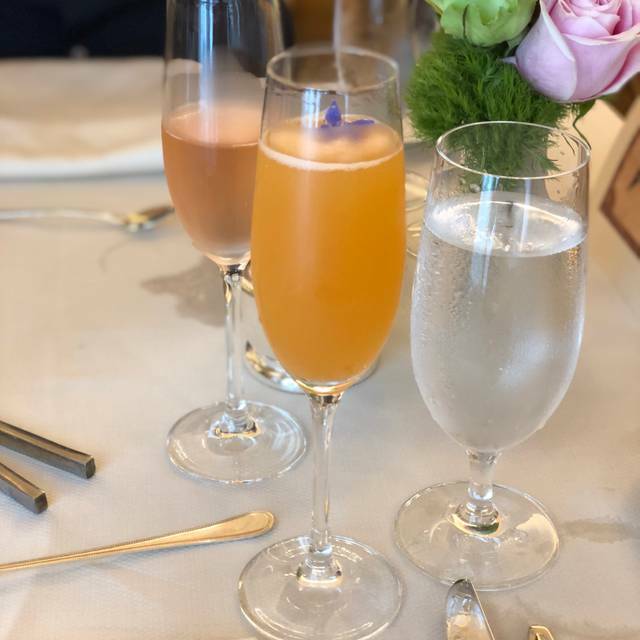 If you are joining us for our Father's Day Brunch please note the following: Credit card guarantee is required with a 72 hour cancellation policy. Guest will be charged 50% of reservation if they are outside of the policy. We require that guests arrive within 15 minutes of their reservation, arriving outside of this time frame will result in automatic cancellation of reservation. Valet parking is available at the special event rate of $12.00. We look forward to welcoming you on Mother's Day! The right meeting atmosphere requires the right food. Our menus range from the fresh and fabulous to the chic and celebratory, all so you can create the perfect experience for your attendees and guests. 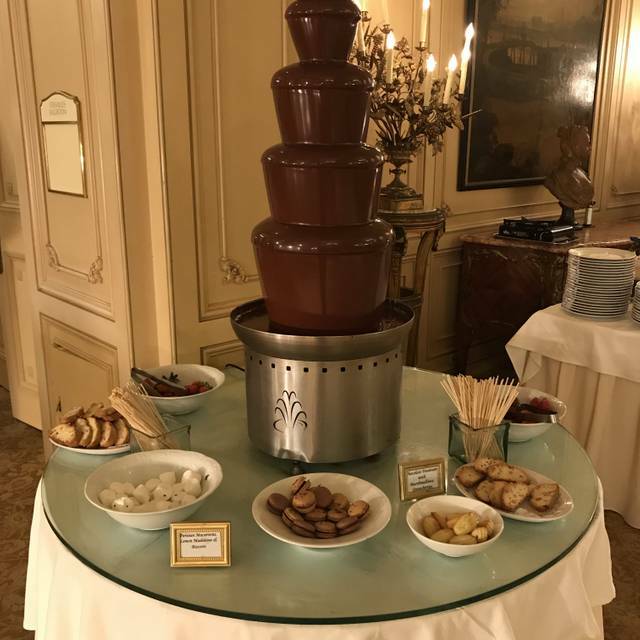 Helmed by Executive Chef Fabrice Hardel, our catering team is experienced in offering the finest Californian cuisine for breakfasts, light buffet meals, passed hors d’oeuvres, served dinners and more. 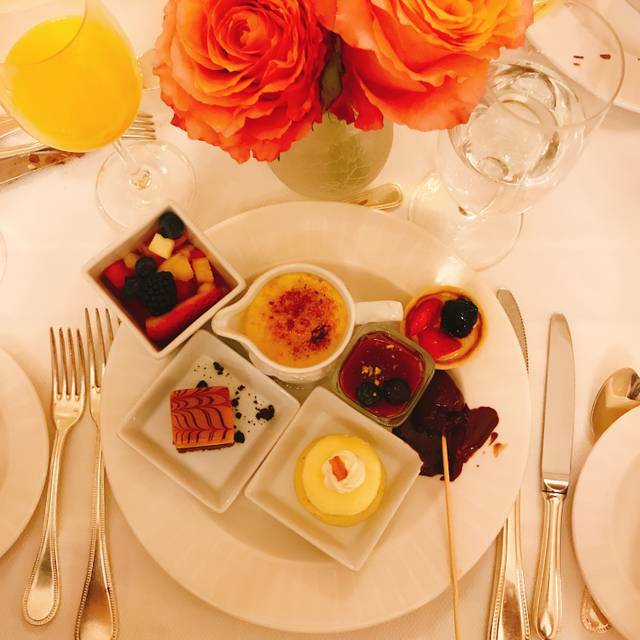 We’ll make sure your meeting attendees leave feeling indulged, not just fueled. Depending on which event space you select, we can customize a host of menus to suit your gathering size and style. 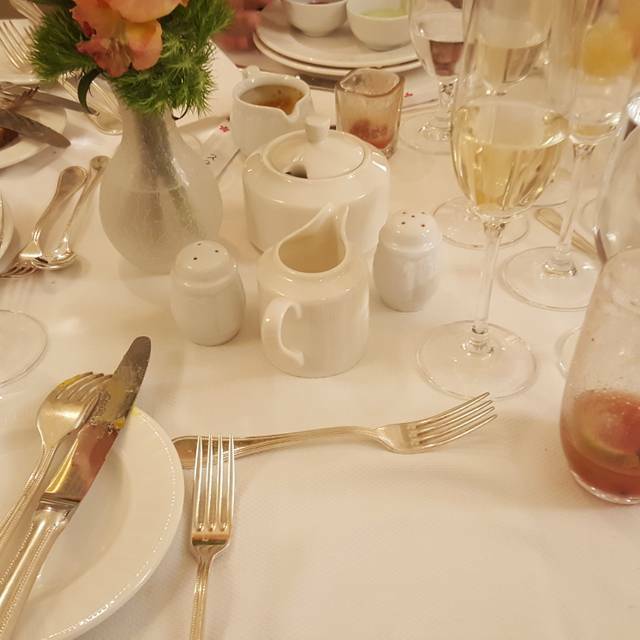 Whether you want gourmet for a busy meeting on the go, or seated and sophisticated for encouraging long conversation, we can design your day with your special requests in mind. Please contact catering services at sales@westgatehotel.com or 619-557-3620. Hands down the best Sunday Buffet Brunch in San Diego! The food as always was good. The service was slow. Took a while to get everybody’s drinks. Was celebrating my Dad’s 80th Birthday. They didn’t do anything spectacular or even wished my Dad a happy birthday. We celebrated my husband’s birthday. This is our go-to place for special occasions and we were not disappointed. The food was excellent except the lobster Mac and cheese was dry. One change I noticed was that we had to ask our waiter for bread and pastries. Overall, we really enjoy ourselves. Server was sent to another room - no one picked up the slack. Waiter seemed to important to clear brunch plates when we went to dining stations or keep up with Champagne and water. I went here for Sunday brunch and I must say it was amazing!! So many different options, you will definitely be full for the remainder of the day. My favorites were pancakes, omelette, crepes, cheese, fruit, coconut shrimp, steak and beef brisket!! The ice cream and fondue were a nice completion to my meal. While we waited to be seated the bartender made a delicious kale and spinach drink!!! Please ask for it!! Overall great quality!! It is a wonderful brunch and have had no issues in the past. This time we were stuck in the back room and didn't see the waiter as often as we would have liked. Also, found a hair in the caviar. Ironically, my husband found one in his too. Considering the variety and relative value of the offerings of this brunch, it is definitely worth the price. It includes a fairly extensive raw bar that included clams, shrimp, mussels, oysters, crab, caviar, and sushi made to order (with some decent quality fish), as well as a variety of tasty hot dishes, a very nice array of appetizers/antipasto/salads, the standard breakfast and omelette stations, and a very tempting dessert room with freshly made crepes and donuts, and 12 kinds of ice cream on offer. Top this off with all-you-can-drink champagne, mimosas, bellinis, and Bloody Marys, and you have a winner at this price point. Service was very nice. Room was a little on the loud side, but then again, brunch is not supposed to be a quiet affair. we always enjoy our dining experience at the Westgate. Shamus was an excellent server. We have had him before. and the entire staff is wonderful. The hostess saw us and remembered us from previous visits. that really means a lot. entire staff is exceptional. and the food is sooo goooood. 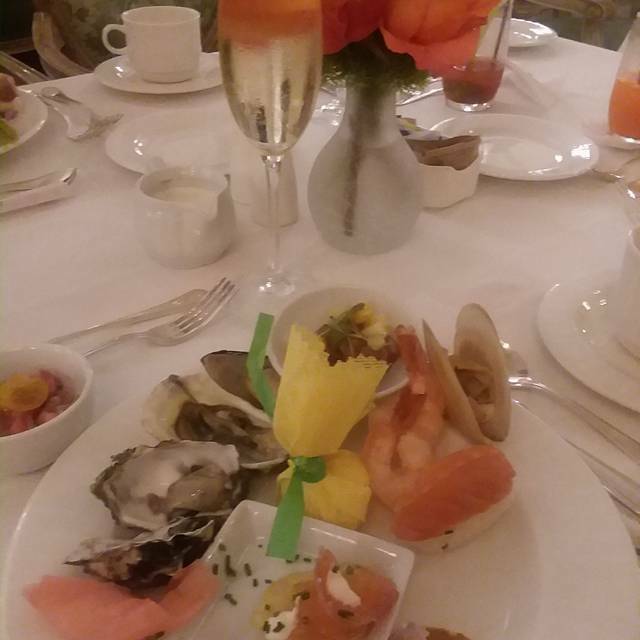 If you never been to The Westgate Brunch at the Le Fontainebleau Room its a must! The food is amazing and so is the atmosphere! Its a very special place! I want to be here every day. Loved it all. Just can't recommend it enough! Your Sunday brunch experience isn't complete without a stop at the Westgate. I've enjoyed the Westgate brunch at 2-3 times a year for 15 years and it never disappoints. Great quality creative food, professional wait and culinary staff , free flowing champagne all at a price commensurate for what you get. 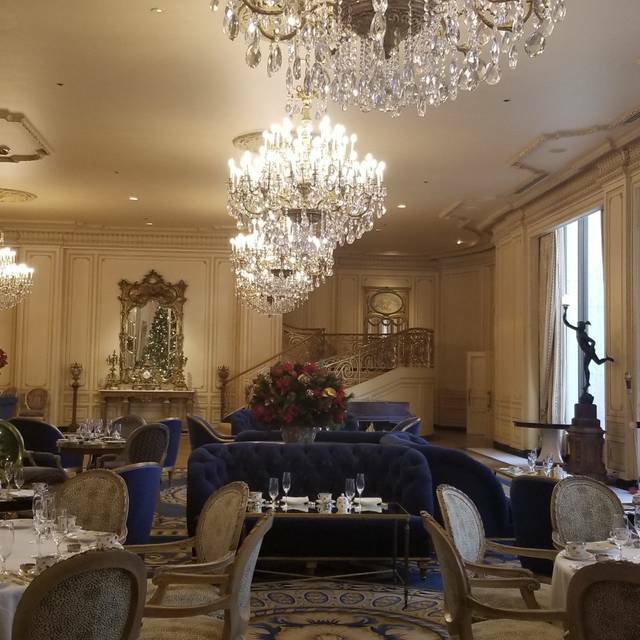 Le Fontainebleau Room is unlike any venue in San Diego, old school, european feel, young and old will feel regal in this back in time Sunday setting. Singles, celebrations, you'll score hosting your date or family here on a Sunday! The margaritas which are included with the brunch price are outstanding and I’ve had a few around the country! We have been to brunch a few items and are never disappointed! Thank you for the great food and service! We will be back soon! 1. The entry staircase leads you right in to the buffet, not the place you get checked in. We wandered in and no one acknowledged so we had to ask and were finally directed. 2. We were surprised to find that no one, other than the manager and the bartender, really spoke English... in such a so-called fancy environment, we expected something different. 3. At 12.30pm, we found that they had run out of oysters, or so they said. And then at 1.15pm, when we went to get ice cream as dessert, the oyster bar was full. We complained at 12.30. Shouldn't they have told us when they re-filled the oyster bar, since we were disappointed? Strange place with a piano player who talks to himself all the way through playing the piano. Would I recommend you went... um... no. Not for $59 apiece, for cold food and cold service where no one speaks English and the place is made out to look like a 5-star hotel but in reality is anything but. At the seafood buffet, the oysters, oyster shooters, clams, and crab legs were outstanding. The shrimp, mussels, sushi, and caviar were good. Desserts--crème brûlée and other crèmes, berries, and mousse--were high quality, fresh, and delicious. Dim sum, while a nice idea, suffered from sitting too long. Hot meat and fish dishes were acceptable. Poke, shrimp Louis, and other salads tended to be bland. The service (Seamus) was efficient, friendly, and welcoming. The rooms were lovely. We njoyed the experience. The food and presentation is wonderful and the service is great! Food was excellent, and service was outstanding. A bit expensive, but I would go again. 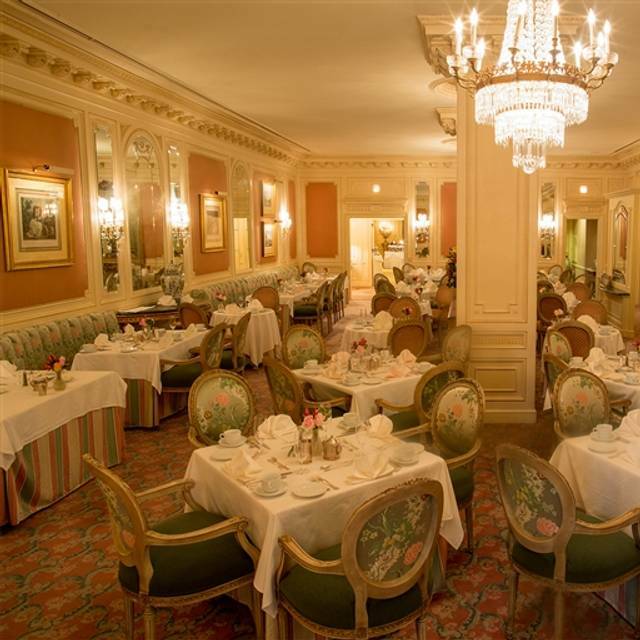 Just an exceptional dinning experience! Disappointed at the seafood selection and some of the foods that are left out in the burners are over cooked. Great atmosphere, excellent service, but food needs improvement! First time visit for Christmas Brunch. Wonderful selection to suit all food preferences. Decor and decorations were all beautiful. Highly recommended to anyone visiting San Diego. Very friendly staff and excellent brunch prior to the ballet! My daughter was in heaven with the sweets room. This is a great Sunday champagne buffet brunch. We enjoy sitting at our favorite table for 2, listening to David, the piano player, entertain us with good old classics! Food and service are both terrific! 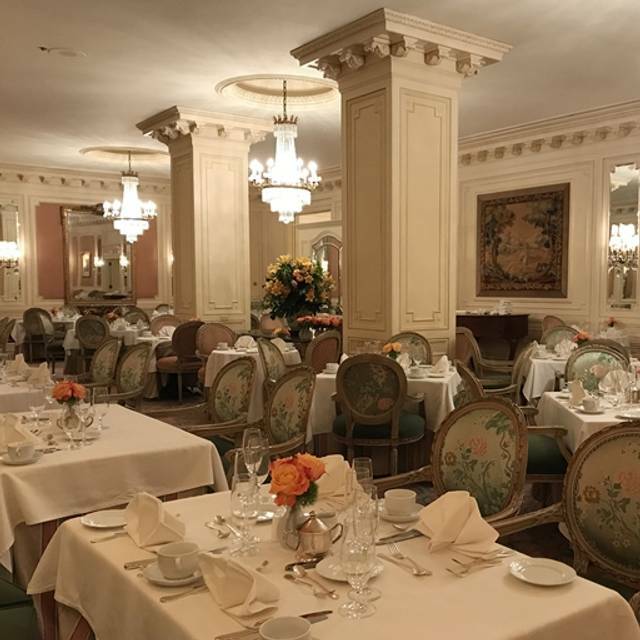 Beautiful room, fabulous food, attentive service, memorable experience. Brunch is an excellent value. Very good sparkling wine from France. we have been here several times and the food and service are always excellent. 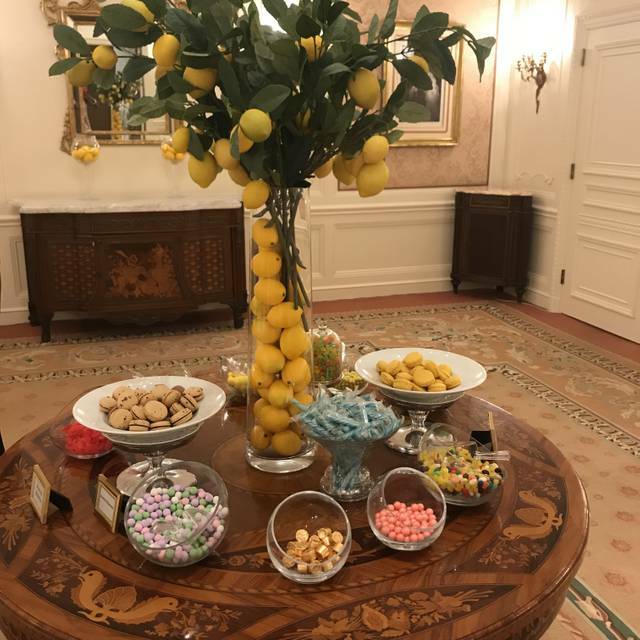 We were excited to experience the Thanksgiving Buffet in Le Fontainebleau Room, but reality was far from our expectation. The 5pm reservation time was a total waste, since we waited until 5:45 to be seated (apparently people were unwilling to leave the buffet, so everyone later in the afternoon was blocked from starting at the expected time). Many of the items listed on the menu were not available by the time we ate. Overall, a TOTAL waste and we could have had two Thanksgivings for the price. Next year I'll give thanks that I'm not wasting time and money at Westgate Hotel. Live and learn. Arrived 10 minutes before our scheduled time, was told "we are behind on our tables, the wait is about 20 minutes." Was eventually seated 45 minutes after our scheduled time. No salad area....just a kale salad in a tiny cup, a few cheeses and small fruit cups. Main course meat/fish all swimming in nondescript sauces that while supposedly different all seemed to taste the same. Two potato dishes....the sweet potato casserole was small cubes of sweet potato, very dry and tasteless...the scalloped potatoes were gone and despite assurances from the staff at the carving table that more were coming in three minutes, none appeared. The mixed vegetables (the only vegetable dish) were also gone. In the dessert area small servings of various desserts were artfully placed to cover up the fact that a number of offerings were gone. And, the apple crumble and bread pudding were gone. They were too inept to remove the empty serving dishes. At one point, a number of guests, including myself, had to wait 10 minutes for plates. We had to ask the staff to bring them. $89 per person plus $12 parking. Totally bad experience. As the day went on, they should have known that they would run out of food based on remaining reservations and where they stood at the time. That more food was not prepared speaks volumes for the ineptness and/or greed on this organization. Outstanding as always! I’ve come for Thanksgiving for the past five years and plan to come back for years to come. Great job! Went to the Thanksgiving Buffet. Wow! Amazing food. Only complaint I had was that the piano music was too loud and monotonous. Otherwise, everything was great. The prime rib was flavorful. All of the side dishes were delicious. The service was outstanding. Its better than The Grant and even the Buffet at Hotel del Coronado. The waiter said their Sunday Brunch is rated top 100 in the country. I don't doubt it. Worth the price. May come again next year! 90% of the food we ate was cold. Ive been coming here for years and this has never happened before. We each paid 59 for cold food? I dont think thats fair. The service is always great but for the first time ever i dont feel it was worth it. The Westgate normally puts on a wonderful brunch, but this visit they seemed understaffed. Service was really slow and food was not timely replenished. Based on past experiences, this was, hopefully, an anomaly. Loved the ambience, the live pianist and SO MANY WONDERFUL SERVERS!!!! It’s just a bit pricey but super yummy ($222 for 3 people which included tip.) we will definitely come again! Beautiful decor, super friendly staff, large selection of buffet items in each station, and everything you need to have a perfect Sunday brunch! Oh, and the desserts...! The four of us went there before our opera at the San Diego Civic theater, and the Westgate completely set the mood for a celebration!